we are dedicated to providing excellent service after the sale. 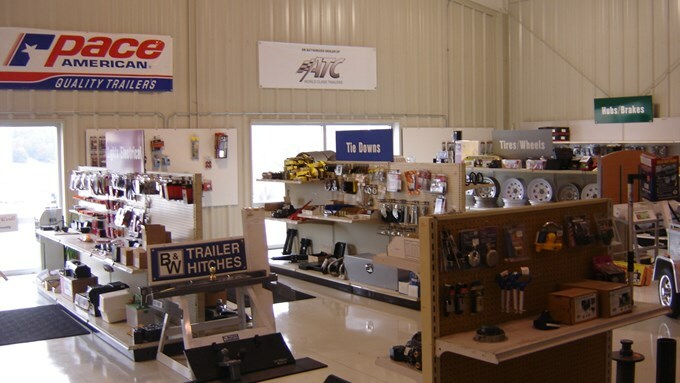 Huffman Trailers offers a complete line of trailer parts and accessories as well as parts for RV's and truck accessories. If we don't have what you're looking for in stock, we can custom order, usually with next day shipping. We also strive to sell American made products whenever possible. We install B&W brand gooseneck hitches as well as receiver hitches by Hidden Hitch, Reese, Draw-tite & Curt Mfg. We carry Dexter and Alko brake and axle parts, as well as ball mounts, jacks, couplers, large selection of both standard and LED lights and much more. Our services include Virginia state trailer inspections, repair services, and installation of hitches and brake components. No matter what you need, Huffman is the place to call or visit. Contact us today.